Extra Mile Powerwashing is the Eastern Panhandle’s top choice for fence and deck cleaning and restoration services. 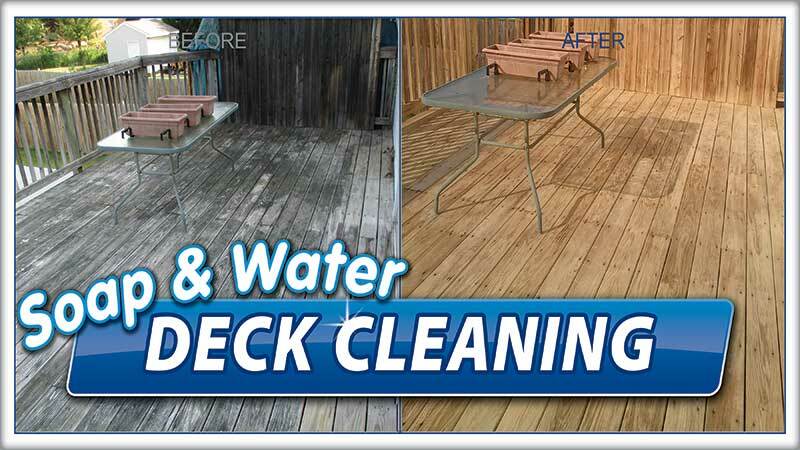 Our safe cleaning (softwash) techniques and professional quality, long-lasting sealers can change that lackluster, graying wooden deck into the gorgeous, richly colored gathering spot that it was designed to be. Don’t trust fly-by-night power washing companies that use high pressure nozzles, because they can damage the wood. This is an expensive mistake, because it scars the wood. It takes a professional a number of hours to smooth out the wood and refinish the decking. Extra Mile Powerwashing of Bunker Hill, WV offers several lavish finishes to choose from that will enrich the natural beauty of your wood while protecting the surface from weathering and decay. Contact us today if you have questions about our pressure washing deck cleaning services or to schedule a free estimate with us at Extra Mile Powerwashing today. Our professional technicians are the pressure washing experts in the Martinsburg, WV and Inwood, WV areas. We use our softwash technique — low water pressure combined with gentle, environmentally-friendly detergents — to clean gutters, siding, roofs, sidewalks, fences and just about every type of surface found at homes and businesses in the region.